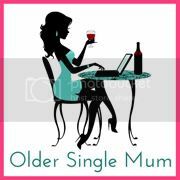 Older Single Mum: Britmums Live Conference Meme. There is something called The Ultimate Britmums Live Meme & Linky 2012 over at the amazing A Boy with Asperger's. A: Older Single Mum. About nine months. Q: Will Britmums Live be your First blogging conference? A: No I'm going to a Save the Children one with Love All Blogs mid- April. That will be my first though. A: No. I'm too shy to try. Q: Are you attending both days? A: Definitely meeting other Bloggers, socializing, feeling part of something and, oh, some of the Workshops and Speakers! Q: Are you wearing Branded Clothing ( you’re sponsors brand)? A: Hadn't occurred to me, but it's a great idea! A: Comfortable but classy, natch. On the advice of the lovely Gemma's post about what to expect when we're there. Q: Are you hoping to be nominated for a BiB award? A: I've been shortlisted already, write about why and give credit where it's really also due HERE! Q: If so what category? Q: Will you be looking to network with Brands? A: Well I don't really know what to expect, but, ideally, yes. A: Having a better idea of what I'm doing - technically. I find the writing easy. And I can't wait to meet people I actually care about but have not yet met! Q: Will you be dressing up in the toilets for the Friday night BiBs? A: I thought it was 'Come As You Are Drinks?' Now you've made me nervous and I don't know what to think / plan! I will make more of an effort than not, probably. Q: Are you speaking at the conference and if so when, where and how do you feel about doing so? Q: Will you be joining in the early morning bloggercise on the Saturday? A: Nope - 8.15 vs. 9.15 with no children for the first time in nearly seven years - are you mad? A: Susanna and Jen count for me! Ruby Wax, obviously, and I would like to hear Allison Pearson, Her Melness, Melinda Fargo and Ellen Arnison who blogs at In a Bundance - but they all clash somewhere with something - so I'll settle for just meeting some of them, which will make me happy! Q: What workshops will you be attending on the Friday (Day 1)? A: It's a toss up between Getting Published or Crossing the Chasm - How to bring your blog up to the next level. Q: What Workshops being held on the Saturday (Day 2) have grabbed your attention? A: The Beginners Bloggers ones, the one about leverage and another about Social Media because I'm crap at all that. Q: Are you booked into a hotel for the Friday night, if yes which one? 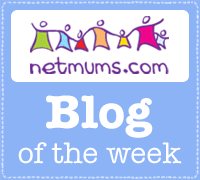 Q: What’s are you most likely to be found doing why attending Britmums Live? A: Apologising for not understanding the professional lingo and, from what I hear, staggering under the swag! It is suggetsed we tag 2-4 Blogger Attendees. Those that want to get involved can join without the requirement of a tag. Please do follow the same rules though, not forgetting to link up. STC too - hopefully we will meet! Hi Gemma, yes it would be lovely to meet you. Will look out for you at STC conf. Your post was really helpful! Hi Clairelouise. Well all the hard work was yours, but thank you. Will look forward to meeting you too. Very best of luck for your Awards too!